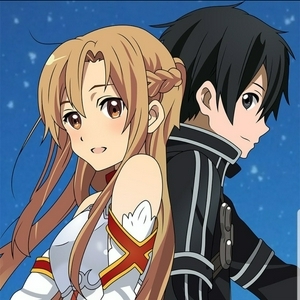 Welcome to the I'd Rather Anime podcast with The Otaku Couple! This is where we talk about all things anime, new and old, with the addition of our thoughts, opinions, and banter. We could do other things, but we'd rather anime! Be sure to follow and connect with us on Twitter and Instagram @IdRatherAnime. Thanks for choosing to anime with us! IRA Review | My Love Story!! This is our last podcast of 2018 -- for real this time! We list our top 10 favorite anime that we watched in 2018 plus a few honorable mentions. You could do other things, but we know you'd rather anime with us! Check out our website IdRatherAnime.com and follow us on Instagram and Twitter @IdRatherAnime. Music credit goes to Bensound.com. This is our last podcast of 2018. We talk about Outbreak Company and Killing Bites in addition to our regular weekly anime. You could do other things, but we know you'd rather anime with us! Check out our website IdRatherAnime.com and follow us on Instagram and Twitter @IdRatherAnime. Music credit goes to Bensound.com. This week we discuss the newest episodes of both Black Clover and One Piece. We also talk about how much we loved watching Gate. You could do other things, but we know you'd rather anime with us! Check out our website IdRatherAnime.com and follow us on Instagram and Twitter @IdRatherAnime. Music credit goes to Bensound.com. We are finally back. This week we talk about Castlevania, Overlord Season 3, and the 7 Deadly Sins with our friend Mo. We end up going on loads of side tagents but we have a lot of fun. You could do other things, but we know you'd rather anime with us! Check out our website IdRatherAnime.com and follow us on Instagram and Twitter @IdRatherAnime. Music credit goes to Bensound.com. IRA 018 | Pirates, Witches and Zombies Oh My! This is part two of our series of we finally have internet podcast. This episode we talk about One Piece, Izetta the Last Witch, Highschool of the Dead and a few other shows to get you guys caught up on what we've been watching during our absence. You could do other things, but we know you'd rather anime with us! Check out our website IdRatherAnime.com and follow us on Instagram and Twitter @IdRatherAnime. Music credit goes to Bensound.com. This week we didn't get to watch a lot of anime so the episode is a little shorter this week. We talk about One Piece, How not to Summon a Demon Lord God Eater, and few more anime. You could do other things, but we know you'd rather anime with us! Check out our website IdRatherAnime.com and follow us on Instagram and Twitter @IdRatherAnime. Music credit goes to Bensound.com. This week we talk a lot about One Piece. I know we normally talk about One Piece a lot but this week is even more than usual. If you get tired of hearing about One Piece just skip to 20:22. We also talk about our first impressions of JoJo's Bizzare Adventure along with a few other Anime we watched this week. You could do other things, but we know you'd rather anime with us! Check out our website IdRatherAnime.com and follow us on Instagram and Twitter @IdRatherAnime. Music credit goes to Bensound.com. This is the 14th episode of the I'd Rather Anime Podcast! This week we talk about Record of Grancrest War, The My Hero Academia Movie Two Heros, and a few other anime. You could do other things, but we know you'd rather anime with us! Check out our website IdRatherAnime.com and follow us on Instagram and Twitter @IdRatherAnime. Music credit goes to Bensound.com. This is the 13th episode of the I'd Rather Anime Podcast! This week we talk about our thoughts on Darling in the Franxx, The Heroic Legend of Arslan and much other anime. We also do a little bit of ranting. You could do other things, but we know you'd rather anime with us! Check out our website IdRatherAnime.com and follow us on Instagram and Twitter @IdRatherAnime. Music credit goes to Bensound.com. This is the 12th episode of the I'd Rather Anime Podcast! This week we talk about the epic anime fights we saw in both Black Clover and My Hero Academia. We also talk about our Hellsing experience and much more. You could do other things, but we know you'd rather anime with us! Check out our website IdRatherAnime.com and follow us on Instagram and Twitter @IdRatherAnime. Music credit goes to Bensound.com. This is the 11th episode of the I'd Rather Anime Podcast! We talk about what anime we've seen in the last few weeks like Black Clover, My Hero Academia, One Piece and many more. You could do other things, but we know you'd rather anime with us! Check out our website IdRatherAnime.com and follow us on Instagram and Twitter @IdRatherAnime. Music credit goes to Bensound.com. This is a special episode of the I'd Rather Anime Podcast! We teamed up with WeeaBroDerek to talk about Wotakoi in our first ever podcast collaboration. You could do other things, but we know you'd rather anime with us! Check out our website and IdRatherAnime.com and follow us on Instagram and Twitter @IdRatherAnime. Don't forget to follow @WeeaBroDerek too! This is the 10th episode of the I'd Rather Anime Podcast! We talk about what anime we've seen in the last few weeks like Kino's Journey, My Hero Academia, One Piece and many more. You could do other things, but we know you'd rather anime with us! Check out our website IdRatherAnime.com and follow us on Instagram and Twitter @IdRatherAnime. Music credit goes to Bensound.com. This is the ninth episode of the I'd Rather Anime Podcast! We talk about what anime we've seen in the last few weeks like Food Wars, Black Clover, One Piece and many more. You could do other things, but we know you'd rather anime with us! Check out our website IdRatherAnime.com and follow us on Instagram and Twitter @IdRatherAnime. Music credit goes to Bensound.com. 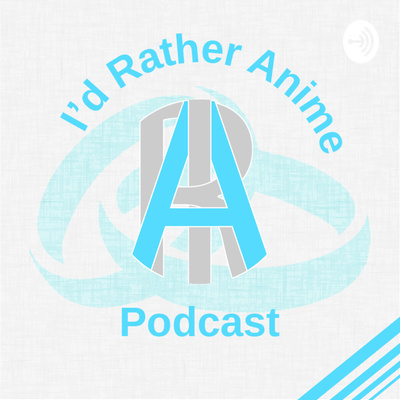 This is the eighth episode of the I'd Rather Anime Podcast! We talk about what anime we've seen in the last week, and review Black Lagoon. You could do other things, but we know you'd rather anime with us! Check out our website IdRatherAnime.com and follow us on Instagram and Twitter @IdRatherAnime. Music credit goes to Bensound.com. This is the Seventh episode of the I'd Rather Anime Podcast! We talk about what anime we've seen the last two weeks, rant a lot about One Piece, and Let you know our thoughts on My Hero Academia and why you should watch it. You could do other things, but we know you'd rather anime with us! Check out our website IdRatherAnime.com and follow us on Instagram and Twitter @IdRatherAnime. Music credit goes to Bensound.com. This is the sixth episode of the I'd Rather Anime Podcast! We talk about what anime we've seen this week, rant a lot , and what we plan to watch this upcoming week. You could do other things, but we know you'd rather anime with us! Check out our website IdRatherAnime.com and follow us on Instagram and Twitter @IdRatherAnime. Music credit goes to Bensound.com. This is the fifth episode of the I'd Rather Anime Podcast! We talk about what anime we've seen this week, how we really feel about Death Parade, and what we plan to watch this upcoming week. You could do other things, but we know you'd rather anime with us! Check out our website IdRatherAnime.com and follow us on Instagram and Twitter @IdRatherAnime. Music credit goes to Bensound.com. This is the fourth episode of the I'd Rather Anime Podcast! We talk about what anime we've seen this week, how we really feel about season 1 of Blood Blockade Battle front and Season 1 of Shokugeki No Soma (Food Wars), and what we plan to watch this upcoming week. You could do other things, but we know you'd rather anime with us! Check out our website IdRatherAnime.com and follow us on Instagram and Twitter @IdRatherAnime. Music credit goes to Bensound.com. This is the third episode of the I'd Rather Anime Podcast! We talk about what anime we've seen this week, how we really feel about Death March to the Parallel World Rapsody, and what we plan to watch this upcoming week. You could do other things, but we know you'd rather anime with us! Check out our website IdRatherAnime.com and follow us on Instagram and Twitter @IdRatherAnime. Music credit goes to Bensound.com. This is the second episode of the I'd Rather Anime Podcast! We talk about what anime we've seen this week, how we really feel about Overlord, and what we plan to watch this upcoming week. You could do other things, but we know you'd rather anime with us! Check out our website IdRatherAnime.com and follow us on Instagram and Twitter @IdRatherAnime. Music credit goes to Bensound.com. This is the official first episode of the I'd Rather Anime Podcast! We talk about what anime we've seen this week, how we really feel about The Ancient Magus' Bride, and what we plan to watch this upcoming week. You could do other things, but we know you'd rather anime with us! Check out our website IdRatherAnime.com and follow us on Instagram and Twitter @IdRatherAnime. Music credit goes to Bensound.com.